I was given two pair of boots of a father and son as well as a coin. My challenge was transforming the boots into long wallets! Then, the next challenge was the coin. The coin is very special and was given to this brave soldier who fought and sacrificed for our country. The hope was to be able to inlay the coin and see it from both sides, it was a tough feat but here is the result! 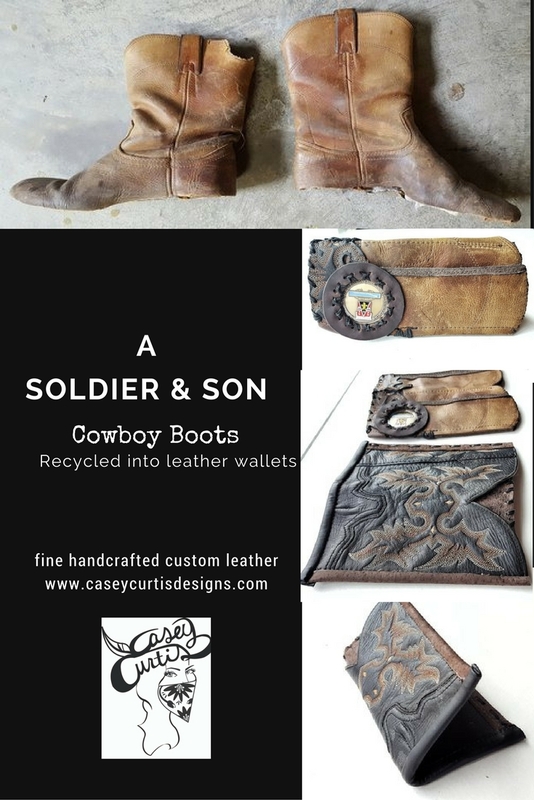 Such an honor to make a wallet for an incredible man, father, and soldier and his son. Thank you to all of the men and women who give up so much for our country.